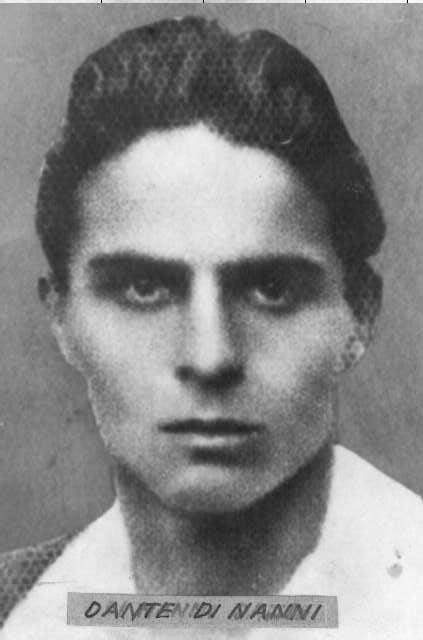 Dante di Nanni was a Turin worker active in the GAP formation of the Resistance who was killed by the Nazi fascists in 1944. The Dante Di Nanni Assault Brigade was formed in 1976 on the initiative of militants from the Marxist-Leninist scene in Tuscany. In 1977 the organization distributes some issues of its newspaper throughout Tuscany. In 1979 the organization dissolves and some of its militants join the Red Brigades. The symbolic figure of Dante di Nanni was used by many micro-formations of the armed left over the course of the 70s. This does not indicate that groupings using the name formed a connected or homogeneous network. To cite just one example on March 3rd, 1972, a incendiary attack on the office of eviction and foreclosure in Turin was claimed by a “Commando Dante Di Nanni”.